One Savvy Mom ™ | NYC Area Mom Blog: The Cutest Rain Boots - 10 Pairs You'll Actually Want To Wear While You're Singing In The Rain! The Cutest Rain Boots - 10 Pairs You'll Actually Want To Wear While You're Singing In The Rain! Happy Spring, friends! How's the weather been where you're at? It's been downright crazy, here. I don't know what happened, but one minute we were enjoying the beautiful unseasonably warm temperatures in February (some days hit 60+ degrees) then we blinked, and it was all snow and cold, and a wacky late-winter blizzard that hit us from out of nowhere. Now, we're on the flip side and everything is a melting fast, creating a muddy mess. With 4 days of rain in our forecast over the next week or so, I'm gearing up for a season of rain. But you know what they say, without rain, there would be no flowers. Oh, how I'm looking forward to the flowers, and sunshine and warm temps. It's almost here, folks! Until then, grab yourself some fashionable rain boots, and go find a few puddles to jump in with the kids, and get to singing in the rain! It's all what you make of it. Rain can be fun too! 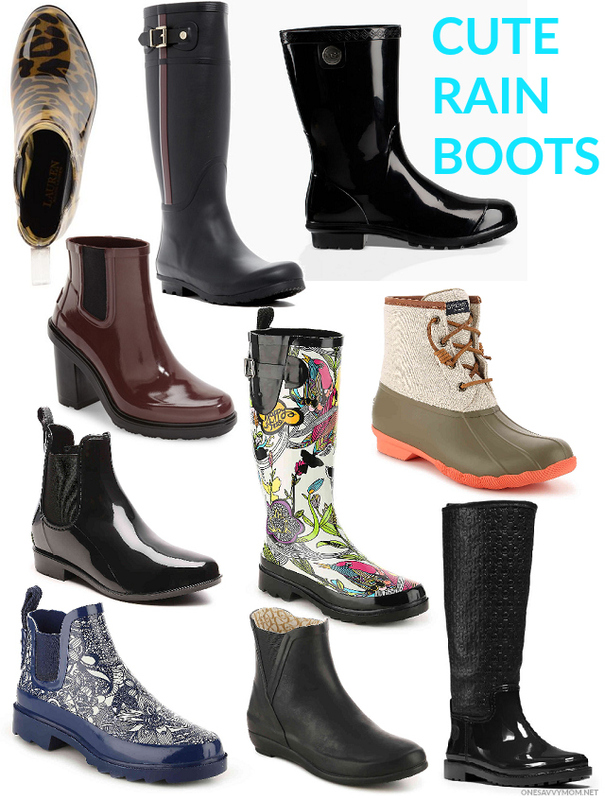 Grab the links for my fave fashionable rain boots this spring, below.